Leaving home doesn't have to be. The aging process doesn’t have to prevent you or your loved ones from living safely, comfortably, and independently at home. Adapting the home with a few carefully planned modifications can enable you or your loved one to age in place and enjoy the next phase of life in a familiar environment. Carl Gern of Gern’s Home Improvement is a Certified Aging-in-Place Specialist in Erie County, New York. Whether you’re planning for your own future or that of a loved one, Gern’s Home Improvement can help you turn a house into a home — for a lifetime. What does it mean to “age in place”? To “age in place” means to live at home safely, comfortably, and independently as you get older. It’s made possible by modifying your home to increase access, ease of movement, and safety. Gern’s Home Improvement can install extra railings and additional lighting in stairwells and walkways, so you can move confidently around your home. Gern’s Home Improvement can install a walk-in shower in your bathroom. If you’d rather keep your bathtub, Gern’s can replace the wall surround. Gern’s can also install non-skid and slip-resistant floor services and replace shower fixtures with hand-held fixtures designed for convenience and ease-of-use. Don’t waste time worrying about whether older electrical devices in your home are safe. Gern’s Home Improvement can update any device in your home to the newest standards, including GFCI outlets specially designed to be used in the bathroom or near water. Assembly and installation of third-party bath safety products purchased by the homeowner. Doorway widening and installation of offset door hinges throughout the home. 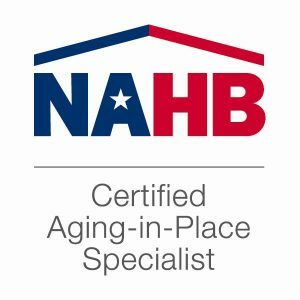 Carl is one of a select group of professionals nationwide to earn the Certified Aging-In-Place Specialist (CAPS) designation. The National Association of Home Builders (NAHB), in partnership with the American Association of Retired Persons (AARP) and NAHB Research Center, created the CAPS program. CAPS designation indicates that a contractor has successfully completed a rigorous, multi-course curriculum on the skills needed to provide aging-in-place home improvements. Carl is a member of the National Aging in Place Council (NAIPC), a network of professionals who help homeowners plan for future housing and care needs. The NAIPC also serves as an informational resource on aging-in-place for homeowners and their family members. EPA’s Lead Renovation, Repair, and Painting rule (RRP Rule) requires that firms performing renovation, repair and painting projects that disturb lead-based paint in homes, childcare facilities, and pre-schools built before 1978 have their firm certified by EPA (or an EPA authorized state), use certified renovators who are trained by EPA–approved training providers and follow lead-safe work practices. 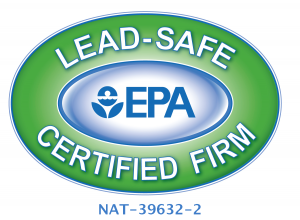 Carl is a lead-safe certified firm. Ready to explore how to live the next phase of life comfortably at home?